Here is A Blue Print For Primary Standards 3 to 8 Exam. 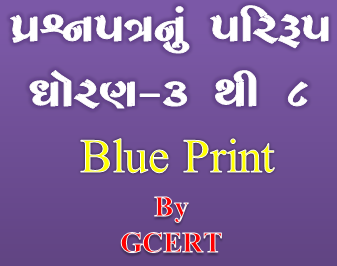 Teachers and Students Can Prepare for upcoming Semester Exam By Help of these Blue Prints. Students can easily Understand How And What Points Should Be Made for Exams. 0 Comments "GCERT Primary Schools Std.3 to 8 Paper Style(Blue Print) For Exams"